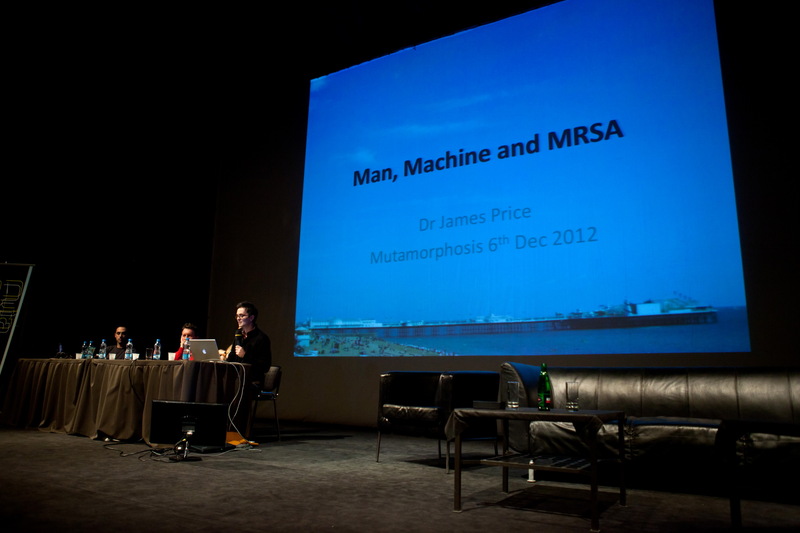 James Price presents his paper within the panel Confronting the Bacterial Sublime: Whole Genome Sequencing, Microbiology and Bioart at International conference MutaMorphosis in Prague, Czech Republic. Superbugs are an emerging threat to humans. As bacteria evolve and antibiotic resistance increases healthcare services worldwide are confronted with the realisation that effective treatments are diminishing. Is the era of antibiotics at an end? Methicillin Resistant Staphylococcus aureus (MRSA) is a highly published superbug that has spread throughout the world, in both community and hospitals settings. Infections caused by MRSA are challenging to treat and can result in significant patient morbidity and mortality. Despite aggressive measures to try and control its spread patients are still developing MRSA infections. Our inability to completely control MRSA is principally because traditional methods used to characterize strains do not have the resolution needed to truly understand their mechanisms of transmission and pathogenesis. 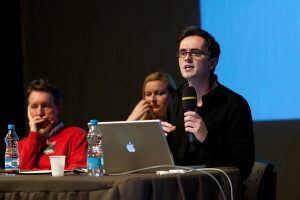 Higher resolution technologies are required to answer these questions. The high discriminatory power achieved by whole genome sequencing (WGS) has the potential to revolutionize prevention, diagnosis and management of infection. Recent advances in speed and cost of WGS offer a realistic possibility of this technology moving from a research tool into clinical microbiological practice in the near future. Before implementation into routine clinical practice there remain a number of key issues that need to be addressed; how to optimally harmonise and integrate these technologies and securely store the large volumes of data. These issues should be ironed out in the foreseeable future. For the first time we may have the technology to finally control superbugs.